Sunshine is very intrigued by Halloween. Intrigued and a little bit frightened by it. 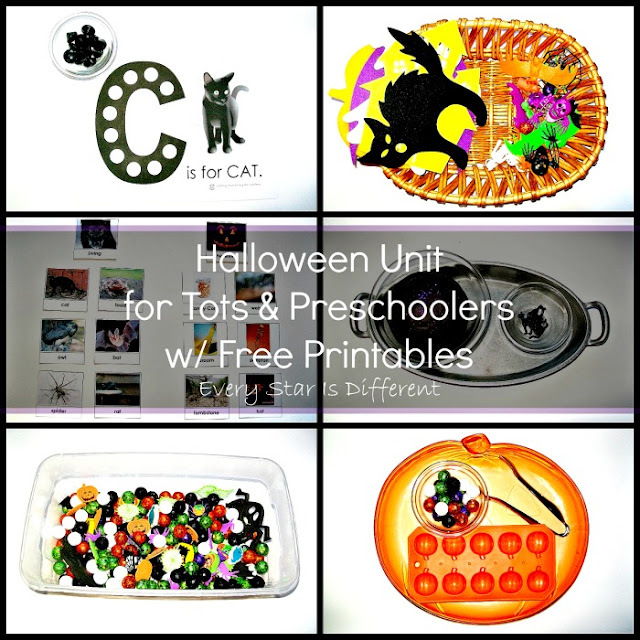 Her reaction to the holiday led me to create this Halloween Unit for Tots & Preschoolers with Free Printables. 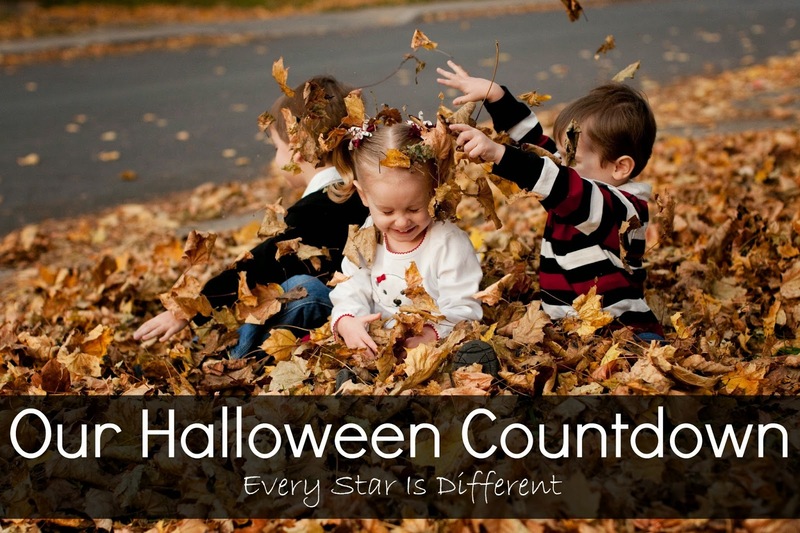 The activities are designed to help her understand what's real and what's pretend in regards to Halloween. 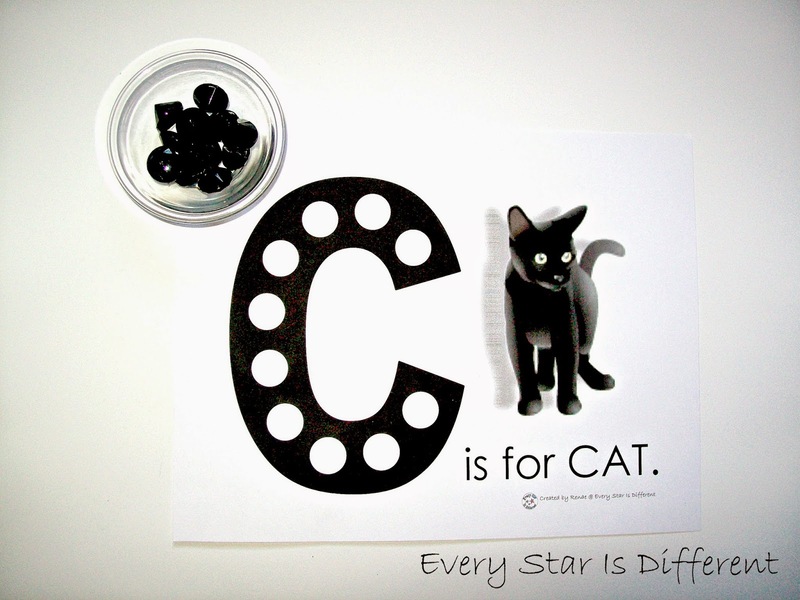 Sunshine loves cats, so you'll notice ar particular focus on black cats as well. 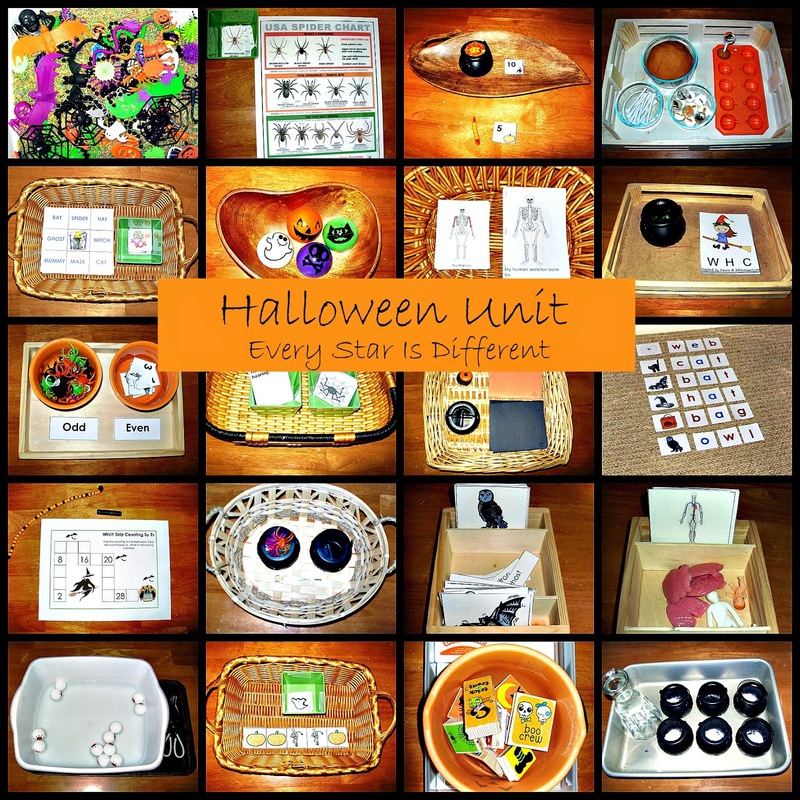 She has absolutely loved these activities. Sunshine places the black jewels on the "C" in the appropriate places using her fingers. It has surprised me how challenging this task is for her. Still she's loving it and gets so excited when she completes the task. 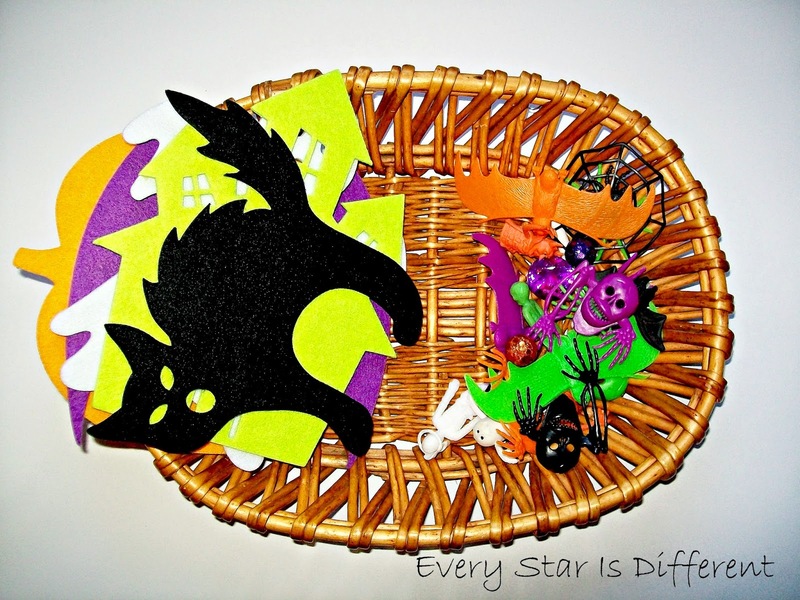 Source: I created the printable for this activity as part of my Halloween Unit for Tots & Preschoolers Printable Pack 1. For your free copy, click on the link located at the bottom of this post. 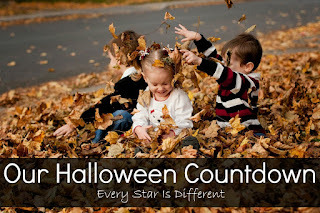 Halloween can be so confusing for little ones, especially with so many characters and themes. 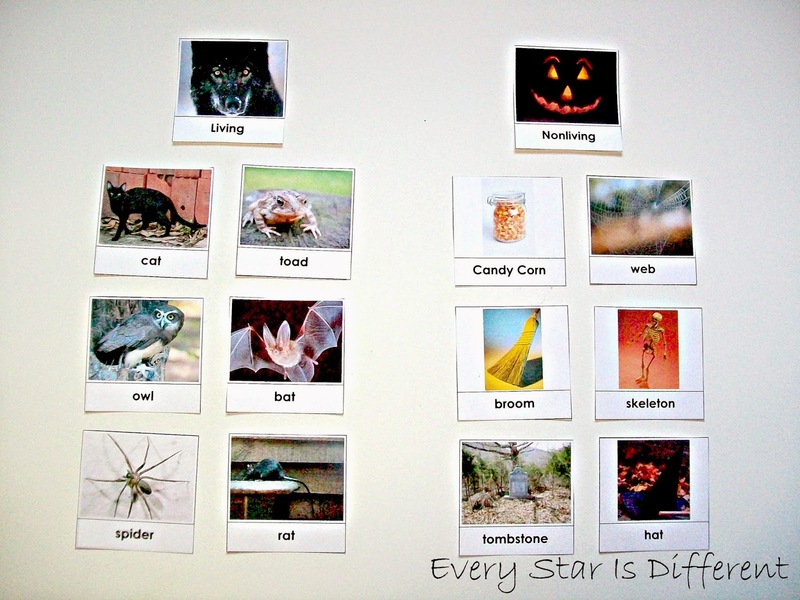 Here Sunshine will sort pictures cards, placing them under the correct heading card. I've hidden 10 plastic black cats in the ball of play dough. Her job is to pull apart the play dough to find them all. 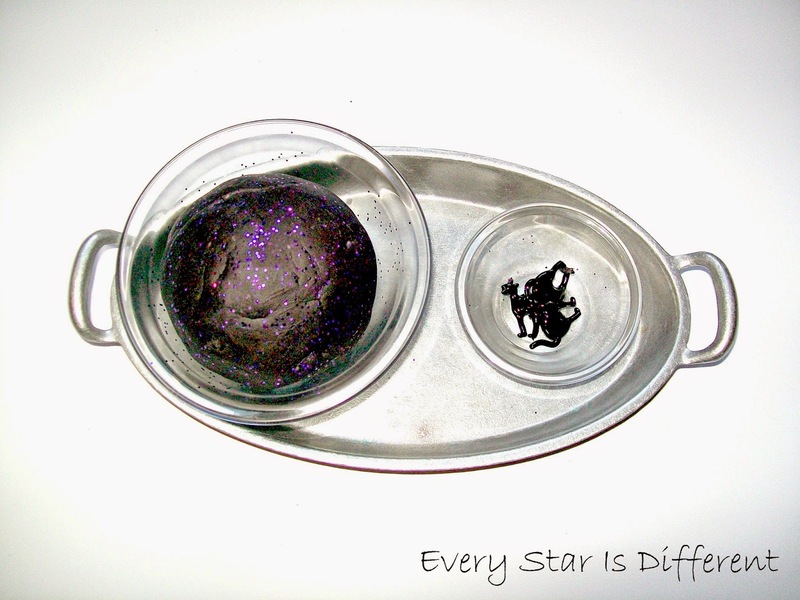 This is a fabulous muscle strengthening activity for hands and fingers. Plus, it provides great sensory input. Once she's found all of the cats, we count them together. She's coming along so well with her numbers. If you're wondering where I found the cats, they were part of a Halloween table scatter set at Pier One Imports. 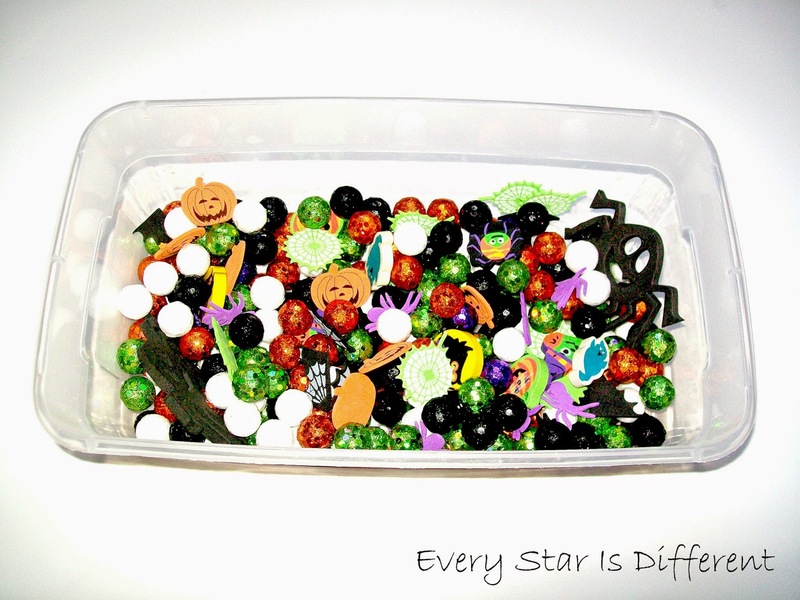 I have always found such great manipulatives in the table decor section of so many stores. The craft store had these adorable Halloween felt figures. I couldn't resist picking them up. I love the colors and large sizes. Sunshine loves them too. 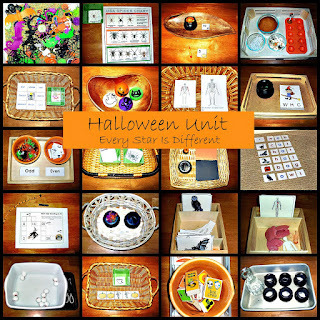 She's having so much fun sorting Halloween items by color. 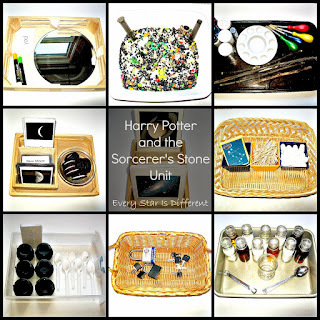 I've included all sorts of different items we had on hand from years past, with all sorts of textures provide a great sensory experience for her. I think my favorite part about watching her do this activity is how particular she is about where she puts each item. When placing black items on the cat, she'll say, "And now we'll put this on it's tail..." etc. It's super cute. She's so great at sorting. Sunshine may not know many of her colors yet, but she can always match things up! Sunshine is doing so well with transferring items using tools. She still has to really concentrate when working with them but her accuracy is definitely improving. 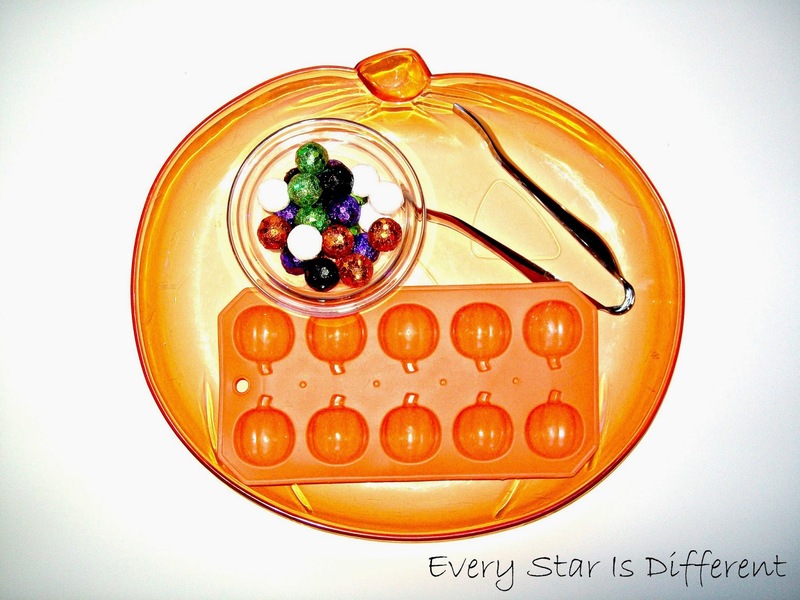 In this activity she picks up the Halloween balls and places them in the pumpkin slots provided. It's more challenging than it looks as the balls are very light. If she presses too hard, they all go flying. Lol. I've provided different colors in hopes it will help with color identification. Sunshine has been asking for a new sensory bin, so I put this together for her. It includes Halloween glitter balls, foam pumpkins, spider webs, and spiders, large foam cats and friendly spiders, and Halloween erasers. 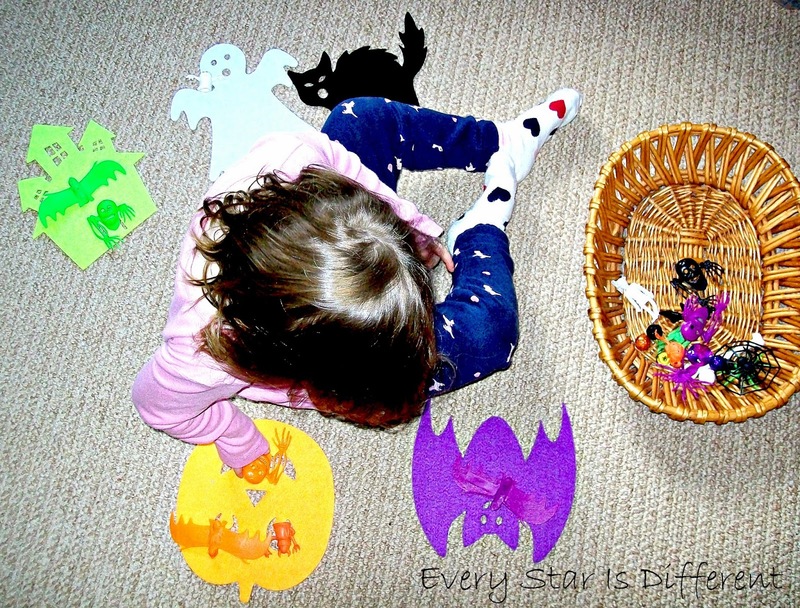 She loves going through the bin picking out and identifying all the different Halloween characters. 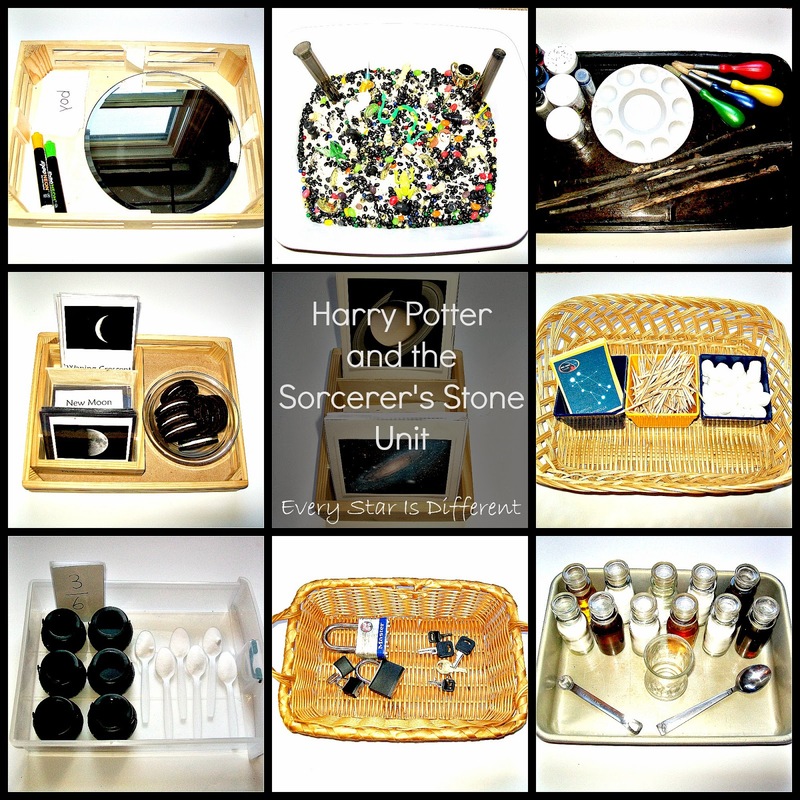 If you enjoyed these activities, you may also enjoy the posts below.